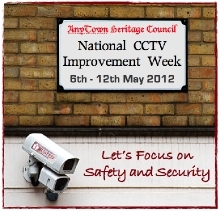 Hopefully, the complete re-design and improvements, should be completed during 2012. 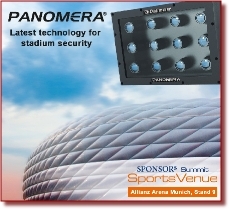 Dallmeier, one of the leading providers of network-based video surveillance technology, will participate in the Sponsor’s Sports Venue Summit in Munich, Germany, from 05 to 06 September 2012. Visit us at stand 9! The Sponsor’s Sports Venue Summit is Europe‘s leading conference for sports venues and major sporting events. 500 participants from 15 countries convene each year for this conference. At stand 9 Dallmeier will present the multifocal sensor system Panomera®, an engineering feat in a class of its own, a totally new camera technology that will revolutionise the video surveillance sector. Panomera® makes it possible to monitor huge areas from one single location. But Panomera® has more to offer than an all-encompassing overview. What makes Dallmeier’s multifocal sensor system so special is the high detail resolution, even at large distances: Thanks to the Panomera® effect it is possible to identify individuals positively, even at a distance of more than 160 m! Panomera® provides image material in real time at frame rates of up to 25 fps – in other words, a completely smooth recording. If something happens at a stadium – for example, if a Bengal firework is lit – the recording can play the incident back in single steps, frame by frame, and thus reveal beyond doubt who lit the flare so that the perpetrator can be called to account later on. Another advantage is the high cost effectiveness of the Panomera® concept: Where multiple cameras were previously required, now one single installation site is all it takes. This significantly lowers the overall cost of the necessary infrastructure, which includes equipment such as masts and wiring. Fascinating and informative forums and lectures by experts on four stages will round out the exhibitors’ schedule of events at the Sponsor’s Sports Venue Summit. This is where renowned speakers will discuss relevant sectoral developments. At 4:00 p.m. on 06 September 2012, the second day of the conference, under the heading “physical security & digital signage” Dallmeier will present a lecture on “IP cameras, crowd management, face recognition: the latest technology in overview.” The speaker is Mr Roland Meier, Panomera® Team Leader at Dallmeier, who has already equipped several stadiums in Germany with the multifocal sensor system. Dallmeier has more than 25 years of experience in transmission, recording and picture processing technology and is an outstanding pioneer of CCTV/IP solutions worldwide. Profound knowledge is used in the development of intelligent software and the production of high-quality recorder- and camera technologies. It enables Dallmeier to offer not only stand-alone systems but also complete network solutions up to large-scale projects with perfectly coordinated components. From the very beginning the company always focused on its own innovative developments and highest quality and reliability. Dallmeier is the only manufacturer in Germany that develops and manufactures all components on its own. This includes the entire product range, from cameras to picture storage and transmission to intelligent video analysis and even individually adjusted management systems. Quality made by Dallmeier, made in Germany! This and the extensive experience in the CCTV and IP field have lead to a top position in the international market for digital video surveillance systems.